You'll be off to the races of fun and fashion with this sporty CHARM IT! Bicycle charm. 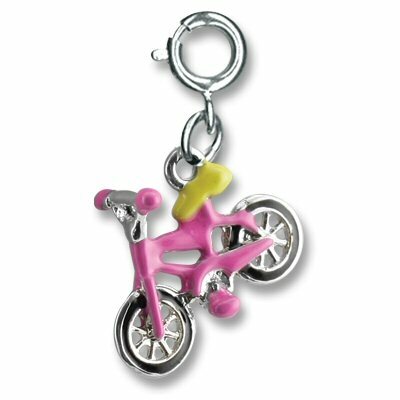 Featuring pink enamel frame and handles, a yellow enamel seat, and black tires ready to tear up the pavement, you'll enjoy proudly displaying your active side when you add this 3-dimensional bicycle charm to your CHARM IT! jewelry with the simple snap of the clasp. Celebrate the fancy footwork of soccer with this CHARM IT! Soccer Cleat charm.